The LS40 is powered by state-of-the-art DTS Headphone:X audio technology. LucidSound's audio engineers have worked closely with the team at DTS to accurately tune the 50mm Neodymium drivers resulting in highly detailed positional audio, specially crafted for gaming. When playing with DTS Headphone:X technology, gamers experience an entirely new level of audio immersion. Able to pinpoint every enemy footstep, approaching threat, and track teammates in battle – even from behind – provides an enormous advantage resulting in a more thrilling gaming experience and notably improving the performance of the player. 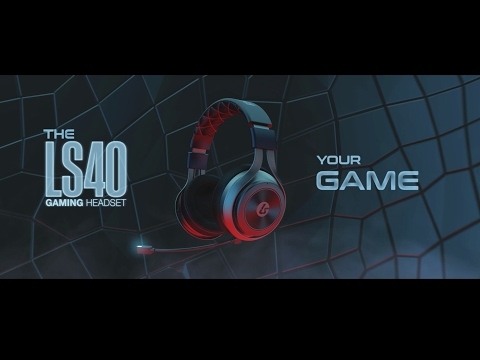 With surround sound, unrivalled on a dedicated gaming headset, the LS40 dramatically enhances competitive online gaming. The only headset you need! Wireless DTS Headphone:X Surround Sound for Xbox One, PS4, PS3 and PC. Wired stereo for mobile gaming and music. Xbox One is wireless to the console and requires cable (included) to controller for chat. session. Designed to be worn outside the living room in the real world. Engineered to offer the simplest and fastest access to controls. The built-in rechargeable Li-ion battery delivers up to 15 hours of wireless operation. When powered off, you can still use it as a passive headset. Use the removable boom mic for online chat and an integrated mic for calls and mobile gaming. Mic-monitoring lets you hear your own voice (sidetone), so you don't have to shout. Designed to be comfortable for every size head. We engineered just the right amount of clamping force to keep the earcups secure. Durable components and solid metal touchpoints are made to last.